No matter if you are a hunter or just enjoy shooting for sport, you’ll know that choosing the best rifle scope is not an easy task and many variables have to be taken into consideration. If you are not experienced in this field, do not worry as well. On this page, I will try to give you an outline of the most important things you need to know when choosing a scope for your rifle. Do not forget that the scope can make or break your shot, this is why it’s so important to choose the most suitable one for your needs and rifle. There are a lot of types of scopes out there, but the most common ones can be generally placed into 2 different categories. It is important to understand the different types so you can determine the best scope for your needs. 1. Variable scopes – This is the most common type of scopes. They are perfect for dynamic environments and if you need an accurate shot. What is so special about variable scopes is that the magnification can be adjusted according to your needs. Basically, you can zoom in and out on a target. This factor can be very important if you’re hunting. Variable scopes are widely used with sniper rifles because usually snipers are used for long-range shooting. 2. Fixed scopes – With fixed scopes, on the contrary, you can’t adjust the magnification settings and that kind of makes them simpler to use than the variables. Have in mind, that also reduces the applications in which fixed scopes can be used. If you are always shooting in the same environment, or at the same distance, fixed scopes would actually be a perfect choice for you. Fixed scope tend to be more durable as well. What is the best rifle scope for me? I think this is a very important section to focus on. There are thousands of scopes out there so you need to determine what do you want from your rifle scope. What is the purpose you want to use it the most for? First of all, you need to know how to understand the numbers on the scopes you are looking at. If the magnification part has two numbers with a dash in between, like the UTG scope above, it indicates that the magnification is adjustable(variable scopes, remember). For example, a 3-9X32mm scope will allow you to adjust the magnification between 3x and 9x. The second value, i.e. 32 mm, is the value of the objective lens diameter in millimeters. This diameter is of the front lens. If there is no dash like NcStar 4X30 Compact Scope that means the scope is fixed. In the case 4x magnification with 30mm objective lens. The second thing you need to determine. What magnification do you want from a scope? Magnification is an important thing to consider when choosing the best rifle scope for you. It is one of the most important features of a scope and it can make a lot of difference in your shooting and hunting results. For the best results, the power of your scope should match your needs. 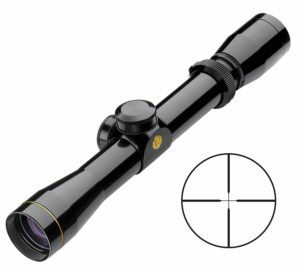 Scopes with a magnification range of 2-4x are perfect for shooting a target within a distance of 150 yards, usually fixed scopes are used for short range shooting. A variable scope with a power range of 2-7x or 3-9x is powerful enough to shoot up to 300 yards. Actually, a 3-9x variable scope can be called a multi-purpose one as it’s not sacrificing much of the low-end field of vision so it can be used for short range shooting and can shoot to more than 300 yards as well. For long-range shooting, the highest powered scopes work the best. If you love to shoot across wide plains or you’re a tactical shooter, you’ll need a scope with a magnification somewhat near 12-25x. However, it should be noted that the high-powered scopes are not suitable if your target is too close to you as the low end starts from 9x or something similar. That limits their use to mid-long range shooting. There are some drawbacks of using a high-powered scope too. A high magnification narrows the field of vision and transfers less light. These lenses can also affect the ergonomics of your rifle as they weight more and are larger as compared to the low-power ones. In reality, a regular shooter will hardly need a scope going beyond 12x, but there are shooters with different needs, so long range scopes also have their use. After you know how to read the numbers on a scope and have a better idea of what magnification you need, it’s time to move to what to look for when choosing the best rifle scope for you. You may find this guide on How to Choose a Rifle Scope useful. Is eye relief an important factor to consider? The eye relief is indeed an important factor to consider. That is the distance from your eye to the ocular lens when your eye is properly positioned. It is extremely important to pay attention to eye-relief, especially for larger caliber rifles. For larger caliber rifles, there should be a minimum of 2 inches of eye relief. Otherwise else you’ll end up hurting yourself. Lenses are one of the most important features of any rifle scope, especially if it’s a long-range scope. You’ll need a lens that presents a clear view of your target both at low and high magnifications. This high level of clarity of a lens is not only required for an accurate shot but also to read the wind speed. To read the wind accurately, you should consider a rifle scope with a good glass. To identify the best lens, you’ll have to look into the scopes one by one so that you’re able to compare the view to each other. Go for the brands that provide a high-quality lens that performs perfectly for any range. Of course, it is not always possible to look at ant scope manually, but you can always look at reviews and get an impression. 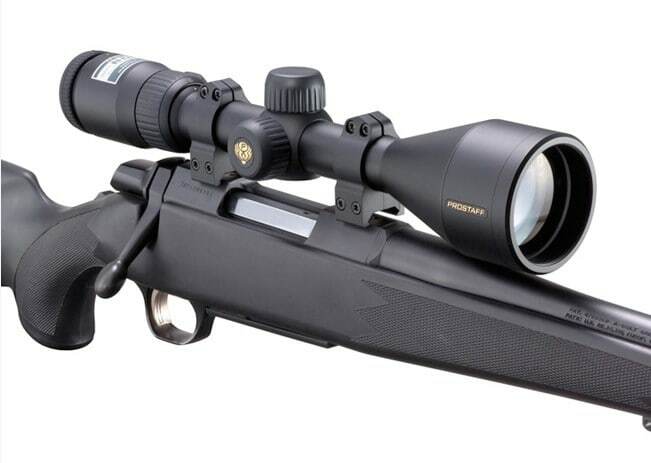 A good quality scope should have a sturdy design because the body also affects the precision of the optics. The good scopes, the high-end ones have single piece bodies which make them more durable. If the body is waterproof that is a big plus as well. Reticle selection is also important for long-range shooting. Reticles with single dots spread vertically and horizontally or with hash marks are ideal. These reticles are perfect for both elevation and windage. It is very easy to use these hash marks or dots, but it takes some time to become an expert. A bullet drop compensator is not suitable for long-range shooting as they mostly lack windage holdovers. 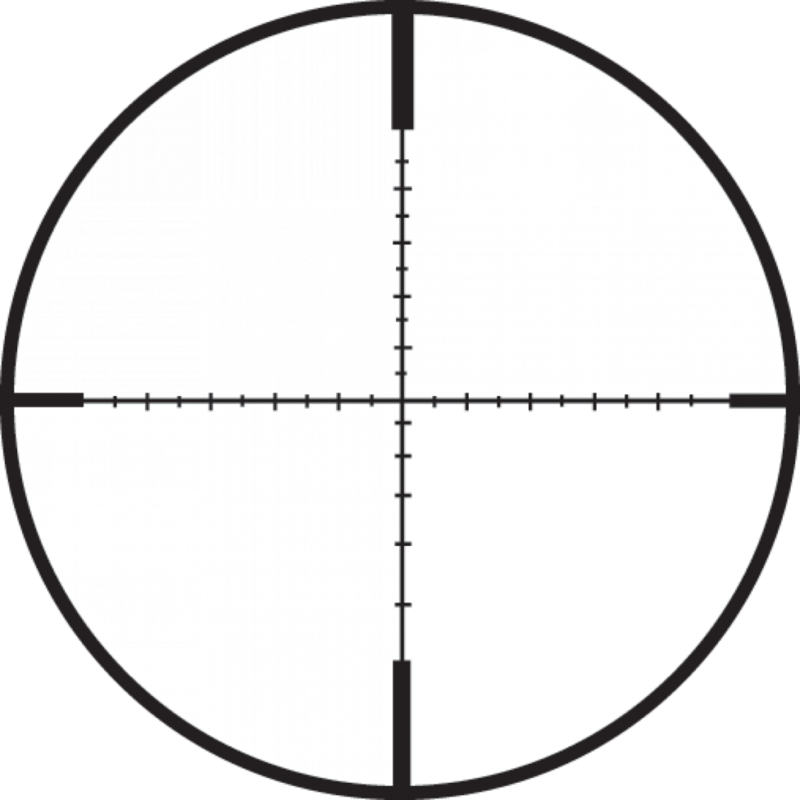 A duplex reticle is the most common one, while others include mil-dot and BDC reticles. Check Opticsplanet guide. There are two types of focal planes, front focal plane, and second focal plane. On the front focal plane, the size of the reticle changes, while it remains same on the second focal plane. Front focal planes sometimes prove to be better because of the unchanged hash marks and dots. Long-range shooting demands serious adjustment ranges. The scope you’re going to buy should have the ability to adjust the turrets. The low magnification and less expensive scopes are free of parallax settings. Parallax is the ability of the scope to correct itself in relation to the target. The higher magnification scopes should have parallax settings because lower magnification scopes can’t shift if the reticle is too small. It should be noted that parallax is different from focus. A parallax gives you the best view to hit the target as it cancels the parallax between the reticle and the target. It is a misconception that if you focus the scope, your image will get sharper. However, focusing means that you have to adjust the eyepiece to make the reticle lines as sharp as possible. Hence, make sure you focus the scope once before using it and leave it unchanged. What should be the perfect objective lens size? There is no perfect lens size, all depends on the purpose. For example, for medium variable scopes, the objective lens size should be between 40 and 44 mm. If the objective lens size is larger, it gets harder to hold your rifle in the correct position. Thus, consider a medium size objective lens because larger ones can make the rifle unbalanced and harder to use. What is the importance of field view for a rifle scope? Field view is the area that you’re able to view at a distance from your scope. When you adjust the magnification of your scope, the field view also gets adjusted. The field view and magnification are inversely related to each other. If you increase the magnification, the field view of the scope will decrease. A slight difference in magnification, thus, can change the field view of your scope. The field of view is more of a problem if you are trying to shoot a target which is close to you with a long range scope. There is a very good reason why all versions of Ruger 10/22 are very popular in America. For its price, it is one of the best .22LR options out there. The fact is has been first produced in 1964 and it is still being produced today, should tell you a lot of things. And a .22LR rifle is powerful enough for most shooters and can be used for a lot of purposes. If you want to shoot something 1000 yards away, better look for another option, the Ruger is not your rifle. It is important to not go for scopes with a magnification of more than 10-12x as that will be overkill for the .22LR Ruger and you will just spend extra money for nothing. Ruger 10/22 is best used for up to 100-150 yards. The Ruger mini 14 rifle is a budget option loved by many and I have to say, rightly so. For the money, you will hardly find a better rifle. The mini 14 is like a smaller version of the M-14 so do not be surprised if you notice any similarities. It is not designed for long-range shooting. While it is not the most accurate rifle on the planet that can be improved a lot by mounting a scope on it. Usually, you do not have to spend a fortune for a scope for your mini 14. The reason is, as it’s not the best option for long range shooting, you do not need a scope with high magnification – the ones usually costing a lot more. You can even go with a fixed scope if you for example usually shoot cans on the same distance. But usually, a variable scope will serve you much better for your mini 14 rifles. Any magnification up to 10x will do a very good job. No need to go more than 10x max 12x, as the rifle is not designed for that. The M1A is an excellent semi-automatic rifle, which a lot of people enjoy shooting with. It descends from the iconic M14 and will not disappoint you up to 1000 yards, even a bit more. Of course, if you do not like to shoot on longer distances, the M1A will serve you as good. There are a lot of scopes being sold nowadays, so you may be wondering which is the best scope for m1a? Well, there is no single answer to that question. It depends mainly on what distance do you usually shoot on. On that actually, depends the budget you need to have in order to buy a decent scope. Do not forget that the M1A has quite a kickback and cheaper and lower quality scopes will shatter easily. If you want to use the full potential of the M1A – about 1000 yards, you will need a scope with higher magnification and preferably bigger objective lens. That equals to higher prices scope, of course. If you want to just shoot at 200-300 yards, there are scopes under 200$ which can do a good job for you. If you are interested to see the best scopes in the different price ranges for the M1A, check best m1a scopes for more detailed reviews. 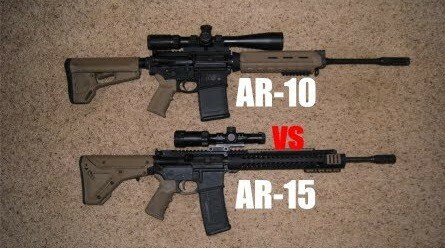 If you are finding similarities between the AR-10 and the AR-15, this is not a surprise, they are basically a father and a son, AR 10 being the father. One of the biggest advantages of the AR10 is that it can shoot on longer ranges because of its .308 caliber. It can hit targets up to 1000 yards and even more in the right wind conditions. Of course, to accurately hit targets at that range, you will need a suitable scope for your AR-10. So what is the best ar 10 scope? Well, the easiest thing is to link a scope and say this one is the best. In reality, things are not that simple. The best scope for me might not be the best for you. There 3 main things to be taken into account. On what range do you use your AR-10 the most often? Do you shoot outdoors? What is your budget? When you have answered these 3 for you, you can proceed and read our full review stating which are the best scopes for AR-10. The .30-30 is one of the most popular cartridges in the USA. It has been around for hundreds of years. A few lever action rifle use it, one of the most popular being the Marlin 336. The .30-30 is effective on short and medium ranges, if you want to shoot on longer ranges, you better look for a more powerful cartridge like the .223. The good news is you do not need to spend a lot of money for a good scope for a 30-30 lever action rifle. Magnification of max 9x or 12x would be more than enough. Nikon and Leupold, both renowned brands have suitable offers on good prices. Of course, it depends on what you use your 30-30 lever action rifle the most for. If you tend to shoot on the same distance the same time, you may find a fixed scope and excellent choice for your 30-30. To see all of our recommendations for this cartridge click here. The Marlin 60 is a popular rimfire rifle that has been sold over 11 million times. There are good reasons why Marlin 60 is so popular. It’s cheap price + its durability for the price. You will hardly find a better .22 carbine under 200$. Marlin 60 can be used for multiple purposes, but of course given that the cartridge it uses it is not the best for long range shooting. That does not mean it’s accuracy on close to mid ranges cannot be improved. Quite the contrary, with the right scope, Marlin 60 accuracy can be vastly improved. The more good news is, you do not need to spend over 100$ on a scope for your Marlin 60. There are a few good models out there that will do a good job for a .22 cartridge and do not cost an arm and a leg. If you want to read more information about the most suitable scopes for Marlin 60, read our full best scope for Marlin 60 guide. Another great budget option from Marlin. The 336 is a lever action rifle that has been produced since 1948. Powered by the .30-30 cartridge it has you covered in short to medium distances. One of the best rifles for deer hunting. The best Marlin 336 scope would be one in the 3-9x magnification range. You really do not need anything more for a Marlin 336. If you want you can put a 12x scope, but anything more will be a serious overkill and the disadvantages will be more than the advantages. Adding a lot of weight is not a good idea. The Marlin 336 is mostly used outdoors, so it would be a good idea to get a scope that is water and fog proof, so you can safely shoot no matter the weather. For our full scope recommendations for this rifle see the best Marlin 336 scopes. Being able to reach 4000 feets per second this is one of the favorite rounds of varmint hunters. It has its other uses other than varmint hunting of course. Some even use if for deer, but that may be taking it too far, but it depends on the distance. Considering the .22 caliber the perfect scope for .22-250 would be a fixed one or a variable one ideally a 3-9x or 3-12x. Or something similar, just the maximum magnification the .22-250 needs is a 12x. Lens diameter – the more the better, but a 40mm is an ideal average which gives good optical performance and scopes with 40mm diameter are still reasonably priced. Read the full best scope for .22-250 guide to see the top 4 recommendations for this round. Barska scopes are relatively inexpensive but still provide decent quality. The company was found out in 1994 and it doesn’t limit its production only to rifle scopes, as many of the other brands on the market, like Nikon for example. Although they do not exclusive produce rifle scopes, nearly all of their items are related to optics, so they have plenty of experience in the field and you should not be worried. The company is trying to provide the best quality at an affordable price. You can check my full review on Barska rifle scopes reviewed. This price range is well suited for beginners and new shooters. Hence, if you’re new in this field and want to learn how to use rifle scopes, you should choose a scope lying in this price range. These scopes are adjustable and have all the basic features of a scope, but you can’t expect them to perform like the latest and advanced ones. These scopes don’t have a very sturdy design, and the rings are not of good quality either. Therefore, they scopes are well suited for beginners and not professional shooters. As you go up the price range, you’ll see numerous changes in the features of the scopes. These scopes have all the basic features which the standard models have, but they have a sturdier design and more adjustability. These scopes are weatherproof and have coatings on the lenses so that you’re able to get a more accurate view. For a mainstream shooter, the scopes of this price range are perfect. These rifle scopes are the expensive ones and are ideal for hobbyists and enthusiasts who want amazing performance and precision. Scopes in this price range have high-quality weather protection and incredible adjustability options. The larger objective diameter gives a clear and crisp view of the target. These advanced rifle scopes have all the features that are needed by a shooter to aim and enjoy the hunting and shooting experience. The scopes of this price range may have different reticles and other features to make aiming easier than ever. These are the most expensive rifle scopes and apparently the best ones too. If you wish to have a sturdy scope with incredible adjustability, different reticles, larger objective lens diameter, and a fantastic magnification, you must invest in these scopes. If you have the budget to invest in one of the scopes in this price range, you’ll get a fantastic hunting and shooting experience.